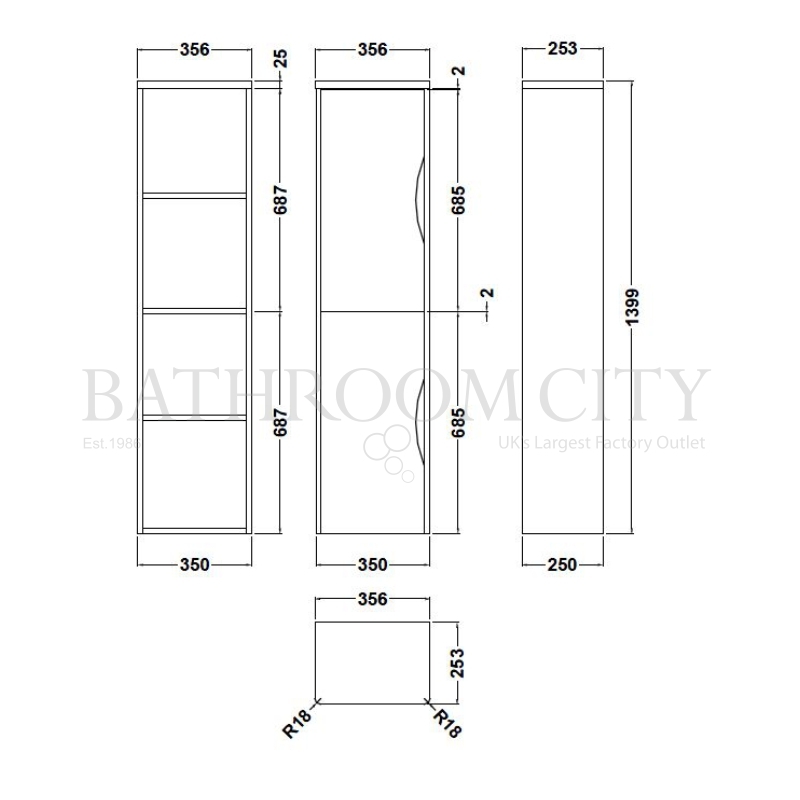 Parade Tall Wall Hung Unit (1400 x 350 x 250) Buy Online At Bathroom City! Make the most out of your bathroom with this Parade Tall Wall Hung Unit. Its high point is its spectacular gloss white finish that compliments the gentle curves of the Parade format to create a designer look. The unit door includes soft close mechanism that creates a quieter closing action and prevents the general wear and tear of daily use. Manufactured from high quality materials, we can guarantee you a robust and long-lasting addition to your bathroom. The Parade tall unit optimises space in smaller bathrooms for a highly functioning accessory. Complete with a 5-Year Guarantee from Premier, protecting you against any manufacturer defects.